On Tuesday morning, the United States women’s tockey team beat the Olympic Athletes from Russia 5-0 at the 2018 Winter Olympics in PyeongChang. 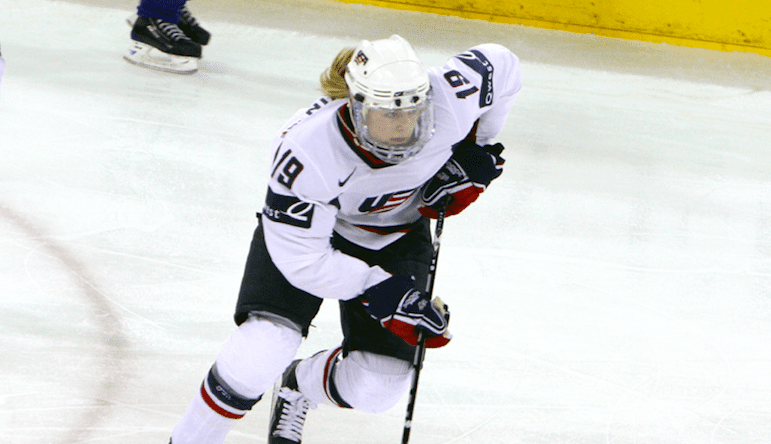 Gigi Marvin had a goal and an assist in the Americans’ victory. Team USA is now a perfect 2-0 thus far in Group A competition and has secured a spot in the semifinals. Marvin returns to her third Olympic games. She was a member of the silver-medal winning teams in 2010 and 2014 for Team USA. Also starring in the win was goalie Nicole Hensley, who made 13 saves in her Olympic debut. Hensley, 23, similarly to Marvin, shares a strong faith in the Lord and credits Him for her many blessings, regularly posting scripture verses to her twitter page. USA will face Canada in its next match on Wednesday night and could be a potential gold medal preview.